“You’ll get stuck in there,” Sabbatical Man had warned, eyeing the many signs at the door that suggested an eccentricity of proprietorship and eclecticism of wares that would make a quick browse impossible. An hour later, his Royal Sabbaticalness was cluttering up the counter with pork terrine, wild herb tea, hand-made chocolates, nougat, wild plum jam, tarte caramel and bottles of the sort of liquor that usually goes straight to the back of the booze cupboard and gets thrown out 10 years later. See what happens when people have time on their hands? For the first time since leaving New Zealand 11 months ago, we had left the kids with friends and come away for a cheeky mid-week ski break. In English you’d say you’re going away “without the kids” or “on our own”. In French you are simply “en amoreux”. 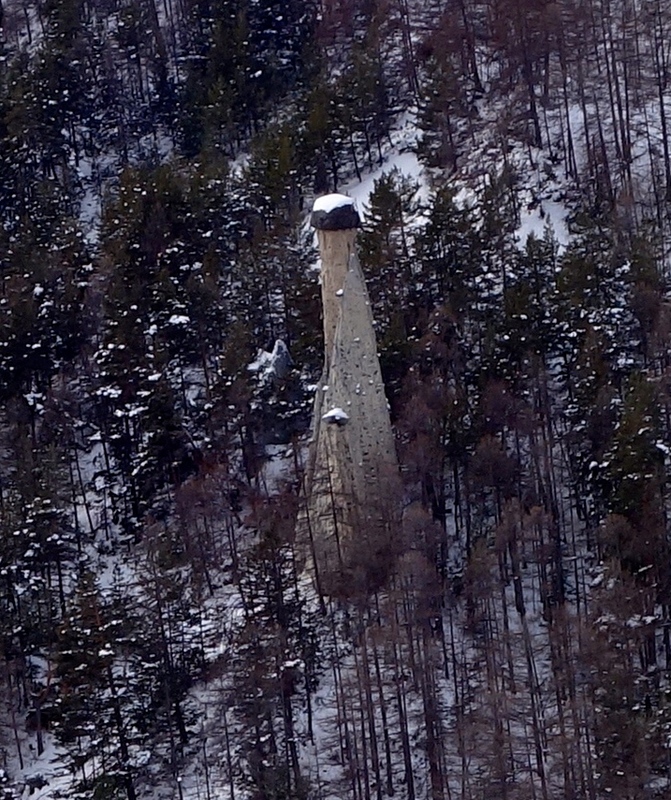 And it was romantic at Saint-Vèran, the “highest village in Europe,” perched up there at 2040m. 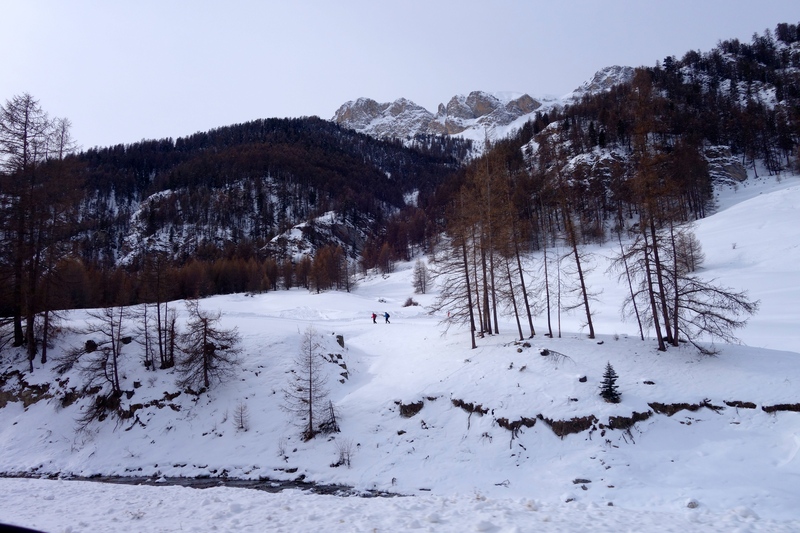 We had had a perfect day on deserted pistes where the snow carved up like freshly-whipped vanilla icing and the church bells could be heard from the village below. 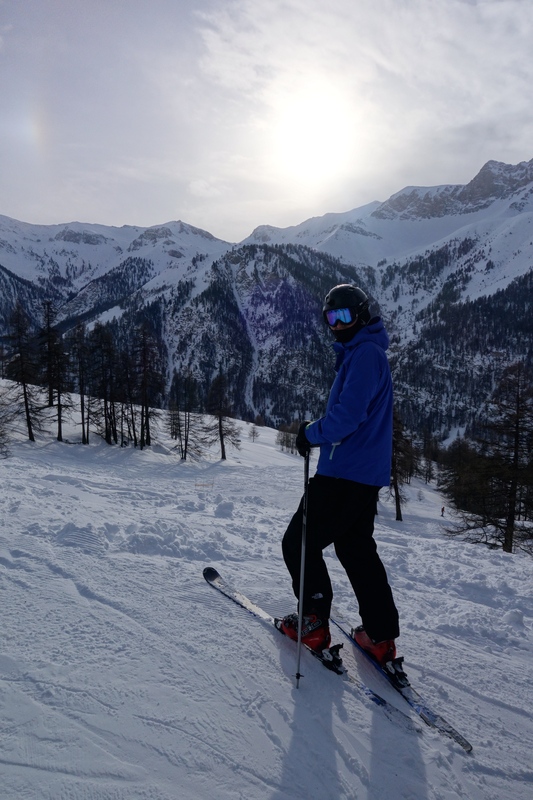 After the last run of the day (yes I am now marginally less crap at skiing), we headed down Saint-Véran to take a look around. 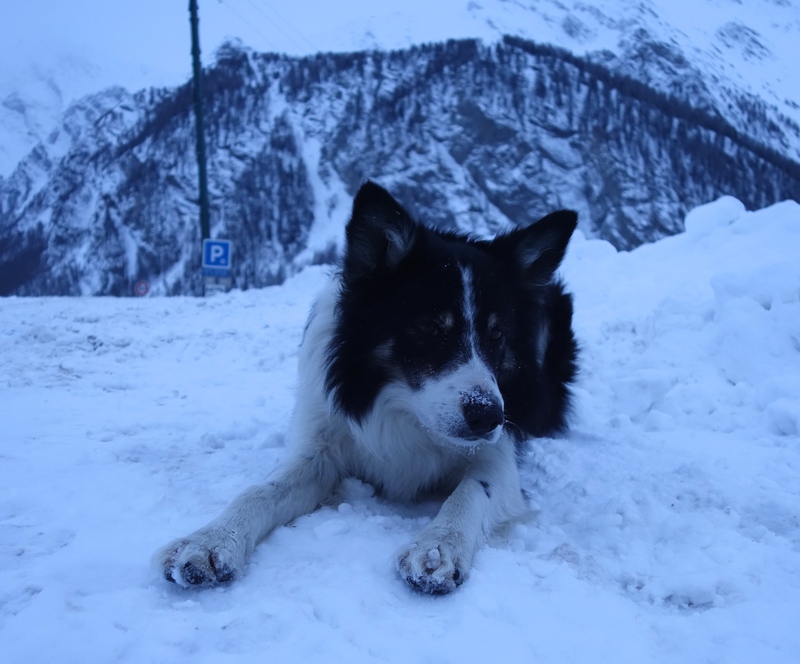 Like all the best walks in life, there was a dog on it: a restless border collie who had stepped into the lead position and was tossing ice balls at us, rolling in shite, pouncing flirtatiously, showing us where his mates lived and barking crossly if we failed to take the correct path. 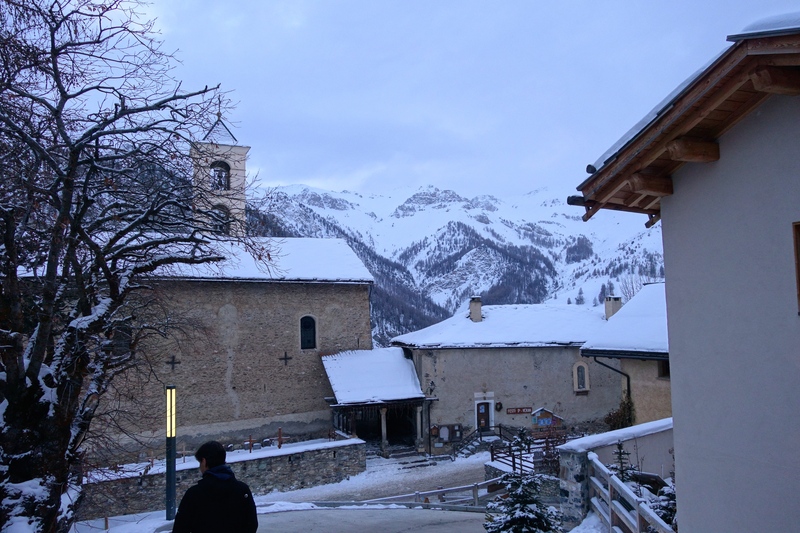 The few shops and bars in the village were closed or closing (mid-week, mid-term, mid-winter) but we were happy sludging around the narrow streets, looking at the chalets, communal ovens and frozen fountains all set against a knock-your-socks off backdrop of snowy mountains. We had been told to come here by some of our favourite people on this side of the world. They all stressed that the magnificent Parc Naturel Régional du Queyras is authentic, remote, wild and fiercely protected (environmentally, culturally and architecturally). It’s the site of some of France’s most dramatic scenery, best hiking and mountain biking and ski trekking. Queyras is also relatively uncrowded because it’s so far from the autoroute. 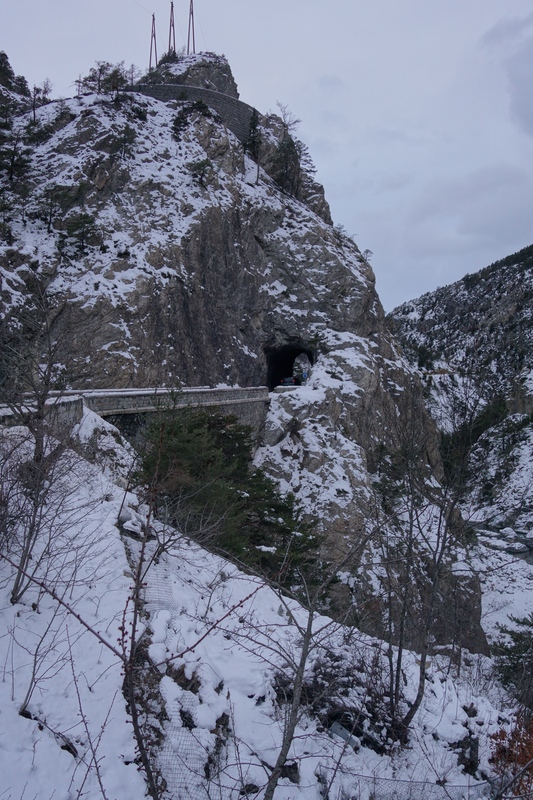 A 90 minute drive on a winding, mountainous dual carriageway with no passing lanes is an unimaginable horror for many Europeans – especially after a long drive to get to the Hautes-Alpes in the first place. Certainly, many drivers we saw on the road had been driven suicidal by the experience – pulling out repeatedly to pass on blind corners or directly into oncoming traffic rather than sit like a damned fool in a line of cars. Anyhooo, if you survive the journey, Saint-Véran is a pretty place indeed. One of eight mountain villages in the park, its most charming features are the chalets built from méleze [larch wood]. Fresh-cut larch wood is the colour of honey but over the years it turns black, so that the houses have a rustic, smoky air about them. Many are decorated with beautiful frescoes incorporating sundials. 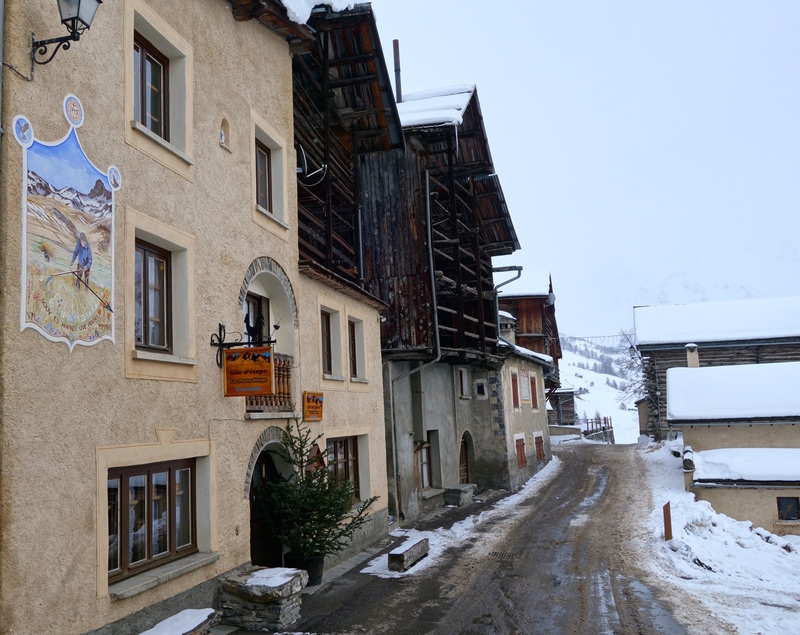 The fresco tradition migrated from Italy during the Renaissance but sun dials have been a big deal in these parts for much longer than that – perhaps due to the fact that Saint-Véran boasts more than 300 days of sunshine each year. Sadly most of the oldest ones were destroyed in fires, wars “and other disasters”, according to local tourist information. Avalanche? Earthquake? Invention of digital watches? One can only imagine. The Tourist Office wasn’t saying. At least the surviving sun dials are well protected and new ones are beginning to appear. We were about to head back to our hotel for an apero when we walked past what appeared to be the only shop in town still open. I could see Sabbatical Man’s point that this could take a while – but back at home right now on a school night there would be three kids to organise, homework to supervise, dinner to cook, washing to get on with. What was the rush? Indeed, what is the point of travelling if you don’t find out what local people make, grow, trade, eat and drink? 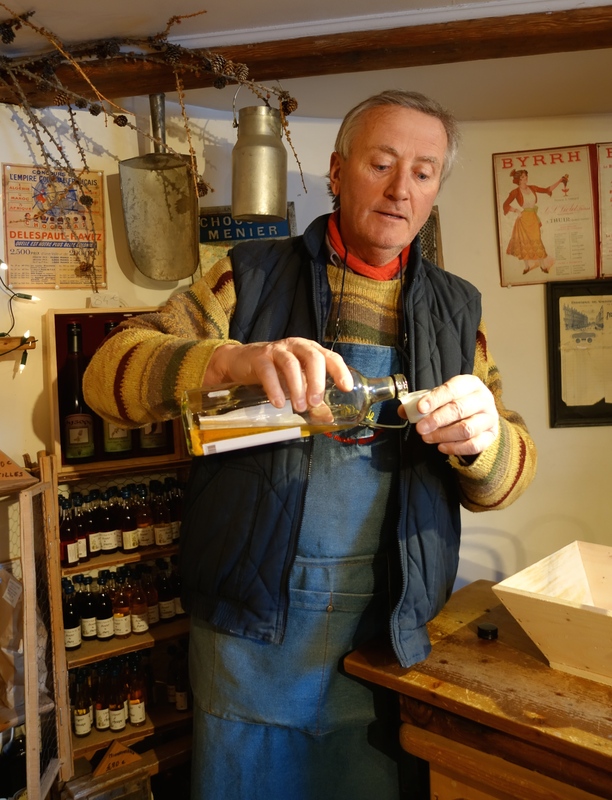 The wood carver-grocer-raconteur welcomed us warmly and proposed a tour of his two-room shop, followed by a degustation. We wandered among the wood carvings and toys, stone sculptures and ceramics then moved through to les produits du terroir – the treasured food and wine made in time-honoured traditions from local ingredients. The concept of “eating local” is not a fashion in France. It’s part of the culture. It had been a very quiet day in Saint-Véran and our host was reveling in his chance to entertain – joking about New Zealand’s proximity to France [c’est juste à coté! ], dropping in a couple of sheep jokes, boasting about owning the highest poulailler [chicken coop] in Europe and demonstrating the density of his serpentine sculptures by noting that in comparison granite “est comme le polystyrène”. By the time our host pulled out that bottle of amour de poire, I was already crying with laughter and you know what? It tasted good. Delicate, fresh, lightly perfumed, not too sweet, not too alcoholic. Nothing like I expected from a fruit wine. I could have wept from emotion. You have never seen anyone shake so much money out of Sabbatical Man’s wallet in such a short space of time. We stumbled out of that shop some time later after sampling all manner of fruit wines, a juniper berry liquor and some sort of rocket fuel made from larch trees. “Ne buvez pas trop à diner!” Europe’s top high-altitude salesman called after us with a grin. He, too, had noticed that my French deteriorates dramatically somewhere between the second and third glass and I had no intention of drinking too much at dinner. And do you know, I almost pulled the pin on coming to this place? It all became clear when we got there. No one reviews it because this place is a secret. 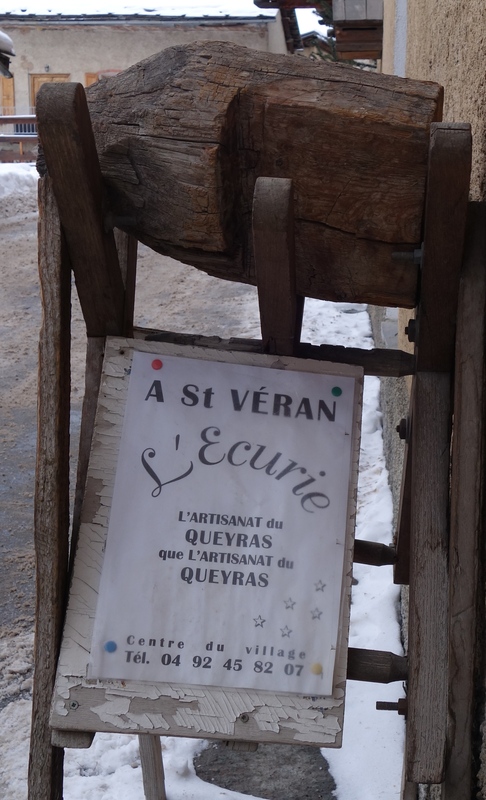 This must be the reason for the pleading tourism slogan draped across the ski field at neighbouring Molines: “Queyras: un secret à partager” [Queyras: a secret to share]. I’m letting you in on it because you’re my only reader and a living treasure – you won’t tell anyone, right? 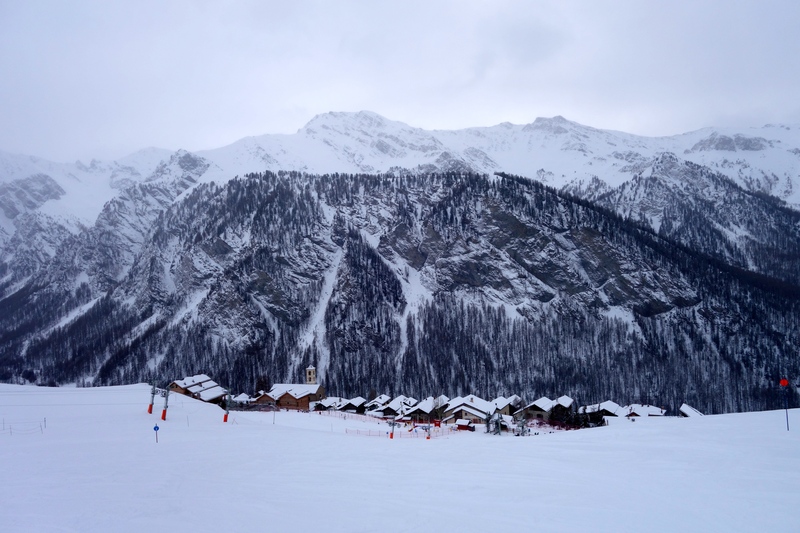 We’re heading back next Friday for a ski weekend with the boys and will be looking for somewhere to stay for a longer summer visit to explore those mountains in the sunshine. As always with France, the more you see, the less you know. OH karen…what a wonderful sojourn you had? looking forward to trying some of that pear liquor?! Jeez, you’d better hurry girl, it’s going down fast! Have thoroughly enjoyed catching up on your adventures this Sunday morning with my espresso …imagining our deck is a French courtyard and the espresso is, well the strong French variety..
thanks Karen, looking forward to reading more! I am sick with envy of you both…sounds exactly my type of place – wish I was there with you! Well you know it only takes a day to fly over Rozie…. we would have such a blast! 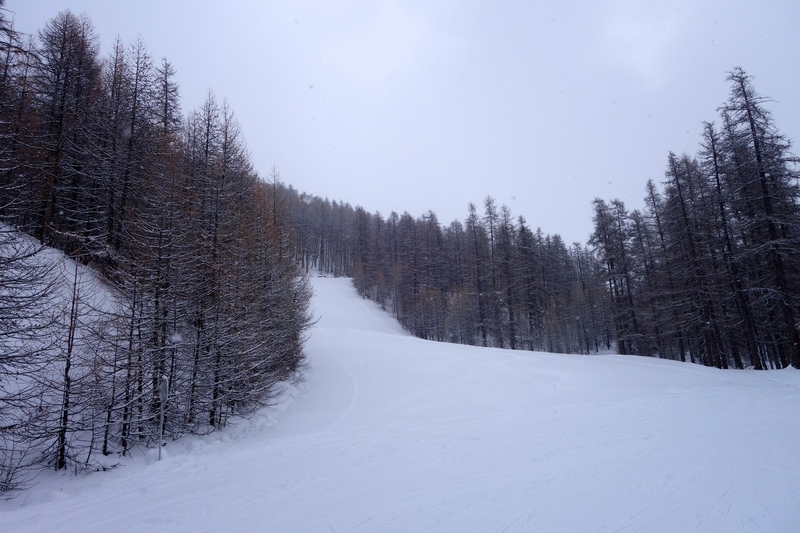 OK – now I’m really inspired that you’re still skiing after your last post ….. I see a faint glimmer of hope! Yes Katrina!!! It honestly has got to the point where I am having fun. I’ll never be fast but I am now able to have fun which is all I really hoped for. I even got some good practice in on lovely (wide!) red runs at Saint Véran so that was a good confidence booster! Stick with it, I say. Also, invest in some lessons! I read every word, Karen and just love it. There just has to be a book in all this fabulous writing you do. I would buy one!